Messi turns a year older today and fans across the world can’t keep themselves from hashtagging his name and photos on their Facebook wall, Twitter feed and every social media platform out there. Fans do what they want to do and we at Reacho are no exceptions! Messi has led Barcelona’s side to an unbeaten 35 win streak record. He has also scored over 500 goals with over 200 assists. These records alone can tell you the level of skill this sporting legend possesses. He faced innumerable hurdles to ultimately make it to the big league. Are you aware of these lesser known facts about Messi? 1. Messi was offered to be a part of the Spanish team but he turned that offer down because in his heart he knew there only one team he would like to play for, his home country Argentina. 2. Messi loves listening to Samba and Cumbi. 3. Messi’s daily earnings are around $128,000. 4. 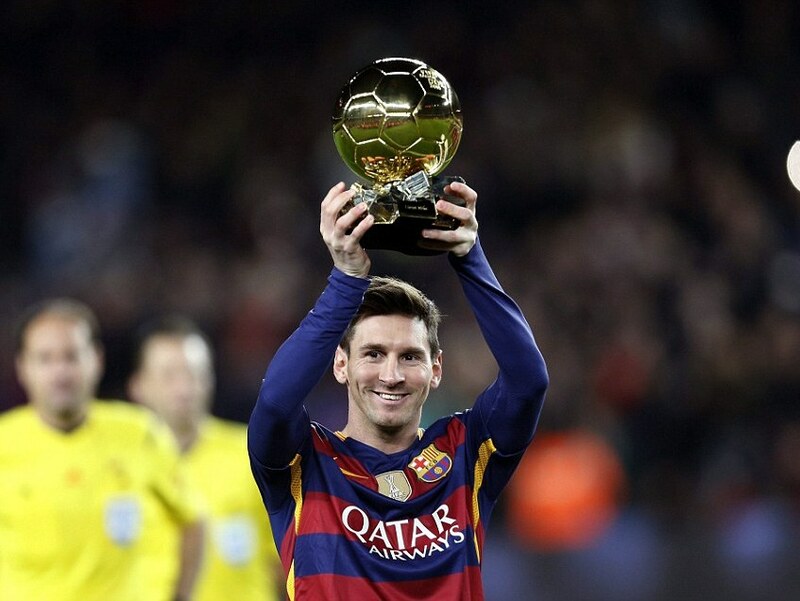 He has won more Ballons d'Or than any other player. 5 Messi loves playing games with his son Thiago and he is also an avid PlayStation gamer. 6. Messi is extremely grateful to his late grandmother for all the support she gave him. He believes she watches over him as he lives his dream, and therefore he celebrates his goals so calmly, simply by raising his hands up in the air. 7. Messi has scored a total of 32 hat-tricks which include all career games that he has played so far. While Messi stands at 32, Cristiano Ronaldo is at 27. This should settle the debate. 8. The Man with the Golden Foot: We are not even talking about his footballing skills! Messi actually has a golden foot made out of pure gold. Hard to believe this one, right? Well the video below should satisfy your queries. 9. Messi featured in a Japanese game show that is well known for coming up with ridiculous challenges that test the skills of various professionals to their very limit. A dribbling challenge from an insane height of 18 metres was posed before Messi . The impossible challenge right? Messi went through it like it was nothing. This challenge alone provides us with all the evidence that we would ever need. He is not from this planet. He is truly out of this world!